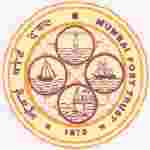 Mumbai Port Trust recruitment 2018 notification has been released on official website www.mumbaiport.gov.in for the recruitment of total 04 (four) jobs out of which 01 (one) vacancy for IT Specialist, 01 (one) for ICT Specialist & 02 (two) for IT Associate vacancies. Job seekers should apply on or before 10th January 2018. Here on this page you will get the details like the Name of vacancies released by Mumbai Port Trust with exact number of posts. Some other criteria like Education details, application fee and way to apply application for Mumbai Port Trust recruitment 2018. Educational Qualification: Post Graduate Degree in Computer Science [equivalent to M. Tech. (CS)] from recognized University/ Institution OR Engineering Degree with any one of the following from a recognized University / Institution OR Post Graduate Diploma in Computer Science/Computer Application/Information Technology or Engineering Degree in Computer Science/Information Technology from recognized University/Institution for S.no-1. Degree in B.E / B.Tech / MCA/M.sc in Computer Science / IT or equivalent Master’s degree in relevant subject for S.no – 2. Degree in Computer Science / Computer Application/ IT or equivalent in relevant subject for S.no – 3. Interested and eligible aspirants should apply on plain paper with CV and attested copies of the testimonials send to the Managing Director, Indian Ports Association, 1 st floor, South Tower, NBCC Place, Bhisham Pitamah Marg, Lodi Road, New Delhi – 110 003 on or before 10.01.2018.